Your sense of Self and self-awareness can either help or hinder what you’re trying to accomplish (i.e., health, wealth, and happiness). Are you fully aware of your dreams and aspirations? Do you always know what you’re feeling and why? If not, it may be a good idea to schedule some time for inner work and self-awareness practice. People who are self-aware recognize when their emotions have a negative impact on their work, on themselves, and/or on the people around them. 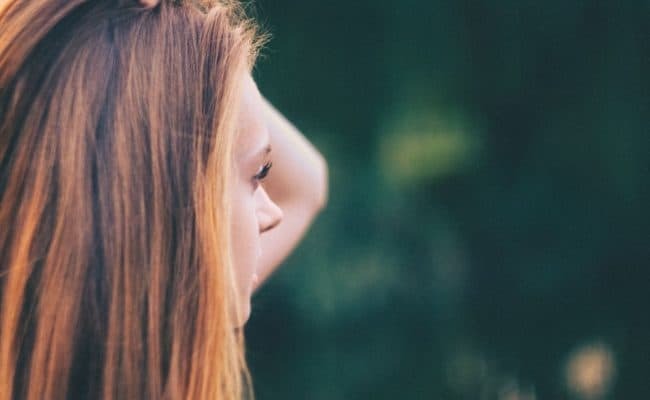 With healthy self-awareness, you’re better equipped to deal with sticky situations in an effective way—due to your ability to come up with creative solutions. People with a strong sense of Self are the ones who are seriously motivated to make their lives better. On the flip side, people who allow illusory fear (the obnoxious saboteur) to get in the way of embracing their emotions can get stuck in undesirable states of being. Fear shuts off our courageous behavior and the ability to fulfill our lifelong dreams. As humans, we don’t want to feel weak, vulnerable, or any sort of pain. Our default mechanism is to run from pain, isn’t it? In fact, most of us were never taught how to hold discomfort, sit with it, or communicate it . . . only how to get rid of it. We pretend that our internal struggle isn’t happening; we watch the television instead. It’s true, emotion can feel terrible, even physically overwhelming . . . but in order to move forward, we must learn to be more self-aware and embrace who we are and how we feel. So how do we become our own best friend? First, by bringing our focus and attention to ourselves. Take a moment to relax into your body, close your eyes, and notice what you notice. How does your body feel? Do a quick body scan as you breathe deeply in through your nose and sigh it out through your mouth. Once you feel settled, ask yourself: What is it that I truly want in this lifetime? Sit with yourself . . . go within to hear the answer. Once you have a clear idea, open your eyes and write down what your inner wisdom told you. Now that you know what you truly want in your lifetime, ask yourself: What is my true purpose in this lifetime? Again, go within and listen for the answer; open your eyes . . . and write it down. Are your goals and desires in alignment? Here are some more questions: Are you working toward fulfilling your dreams and purpose now? Do you feel inspired? Motivated? Overwhelmed? Maybe a little annoyed . . . because you’re not currently doing what you want to be doing? How can we share the sufferings and the joys of others if we cannot experience our own? When you take the time to go within to listen to your unique, inner wisdom you’re also able to figure out what to do when faced with making big decisions—like quitting your day job, for example. You may discover that now’s the best time. Think of your intuition as your sixth sense, your inner guru, your divine messenger . . . It won’t lead you astray. New research shows that our instincts pop-up on a visceral level and tell us what we need to know well before our mind has time. Dr. Joel Pearson, one of the world’s leading authorities on human consciousness, proved that intuition does in fact exist. Along with his research team, Pearson demonstrated that unconscious emotions improve the speed and accuracy of making choices (good or bad). This discovery could prove important for investigations into how conscious and unconscious information combine to shape and influence our behaviors. Tuning in to the body’s wisdom is a practical, powerful way of developing self-awareness. All the more reason to pay attention to what your body is telling you. If, for example, your decision to stay in your current job—rather than start your own business—brings you pain instead of joy, following the pain will lead you, subconsciously, to wanting to realize your Hidden Agendas, rather than your true desires and clear goals created by your awakened consciousness. Self-awareness is the foundation of your emotional intelligence. It’s the ability to look inside yourself, read your own behavior and feelings, and rationally consider the implications of those actions and thoughts. To be self-aware is to understand that what you say and do has an affect on you and the people you encounter. Self-awareness is the ability to know yourself. What are your needs and desires? What about your bad habits and past failures? Your strengths? Knowing yourself is critical for creating change in your life, and thus, pursuing your dreams. If you have an accurate sense of your strengths and limitations, you’ll likely have greater self-confidence as you move forward with the appropriate action steps you must take in order to make changes in your life. And as you’ve probably noticed, self-confidence is one of the top qualities of successful people. 1. Do a daily body scan. Set aside at least 10 minutes a day to get quiet and give some attention to your body with a full body scan. Start at the crown of your head and move down your body to your toes, and as you do, notice how you feel in each area of your body. 2. Take long walks in nature. Spending time in nature is a great way to reconnect with your inner wisdom. If you live near the ocean or by a flowing body of water . . . breathe in the healing negative ions! Take off your shoes and walk around barefoot, if you’d like. It’s good for your mind, body, and spirit. 3. Be mindful of your actions. In our fast-paced, technologically advanced society, it’s not easy to move through our day in a meditative state. We’re often too concerned with what’s happening in the media or on our computers and phones that we forget to appreciate the other realms of life. Throughout your day, be aware of your breath . . . and pay close attention to what’s going on within and around you. Observe your actions at work, at play, and while eating. Do you procrastinate? Show patience? How many times do you chew before you swallow? A mindfulness practice reduces the stress and depression in our lives . . . it also helps us gain clarity about what we want and need. Seek your wisdom within through the act of writing. Journal writing is a way for you to let go, let be, and see what surfaces. As you write, don’t think too much about what you want to say or how you want to write it . . . just let it flow. Journals are great for setting intentions and goals, sorting through thoughts and emotions, expressing gratitude, writing poetry, etc. When you start to fully understand your own emotions and their impact on your life, you are better able to control your circumstances and experiences. As a self-aware person with a healthy Sense of Self, you’ll skyrocket your self-confidence, become highly motivated, and have the chance to define your own success . . . and be successful in your life and work. The above quote is such a wonderful reminder that we are who we are. Sure you may want to change certain aspects of yourself in order to grow into your full potential as a human being, but at the same time, deep down, you are who you are. With a powerful Sense of Self, we have the ability to make big moves toward our dreams and aspirations. How self-aware are you? 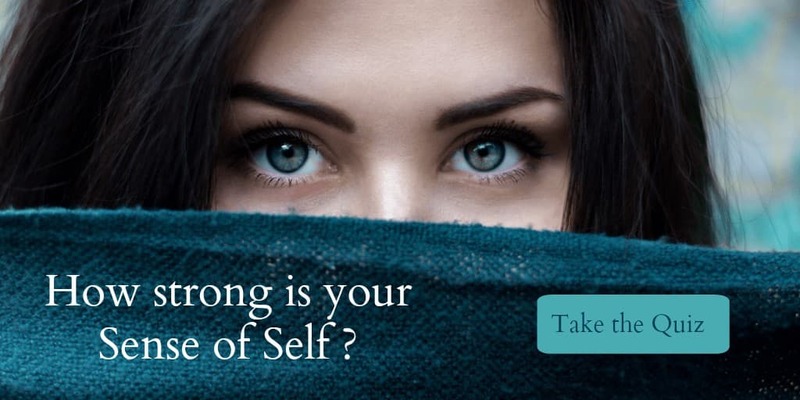 Find out by taking the Healthy Sense of Self Quiz. About the Author: Denise Angelle Kinsley is a writer, consultant, and practitioner dedicated to the healing arts and sciences. She strives to live her life to its fullest potential as her true Self.